No doubt, the purchase of a car is a happy occasion. But after a while, a lucky owner faces some routine tasks concerning its maintenance. Even though some people still clean it up with only good old rugs and brushes, we offer a better solution which can make the daily chores way less time-consuming — the best vacuum for car detailing. “Why can’t I tidy up a car with my regular home appliance?” — You may ask. Frankly, almost all devices with a removable handheld vacuum may be used for vehicle cleaning. Still, they lack a multitude of features that we love in those designed in order to maintain a car. Each model from our review comes with specific vacuum attachments for car detailing of any complexity. That’s why even an average car cleaner beats your regular home appliance in this case. The selection of vacuum cleaners for car washes is so wide that you probably feel like a kid in a candy store. To nullify your misgivings, we are going to introduce top-notch appliances and define 2 top detailing vacuums out of 5 decent “candidates”. For every car owner his or her vehicle is a member of the family. You need not only to feed it buying fuel but also take care of its state. No wonder it is important to have all the necessary tools as well as get the best microfiber towels for cars to keep all the parts of your car clean and neat. 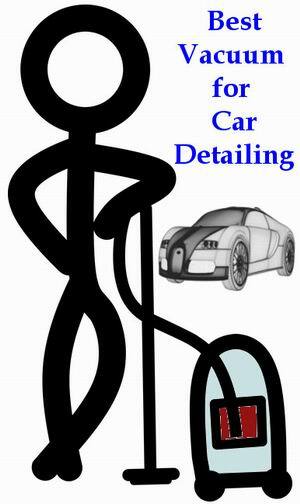 Timely removal of dirt prevents the car polishing from scratches and cracks. In addition, all the vehicles are subjected to dust, stains, and dirt so sometimes it is a necessity to wipe all that from the window screen, for example, to guarantee safety on the road. At the same time, not all materials are suitable for cars. Both windows and polished parts can not be scrubbed with hard fabrics that may damage them, while woolen and other thick fabrics will leave pieces of thread or fibers even after you remove it. 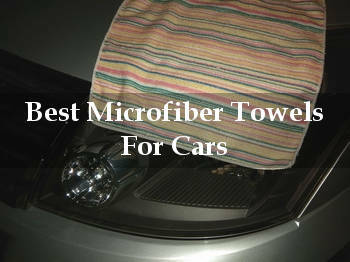 That is the reason to prefer microfiber towels for car care. This material is soft and delicate as well as highly durable. It is easy to wash if it gets dirty and it is cost-efficient being a synthetic fabric. Every car owner should always have such microfiber towels at hand, so it is advisable to purchase a set of automotive microfiber towels to change it anytime you need.